Global merger and acquisition activity is reported to be at an all-time high. Expectations regarding the potential benefits of M&A integration are similarly skyrocketing. The goal of M&As has traditionally been to drive cost efficiency and growth through economies of scale. Under this model, CIOs have focused on operations, assuming responsibility for consolidating servers, managing applications and integrating platforms. For IT, organizational integration has largely been a technical exercise, one that involves ticking off clearly defined boxes. From a strategic perspective, IT has typically played a secondary and supporting role to financial and legal considerations. Driven by the imperative of the digital agenda, businesses today are more ambitious. 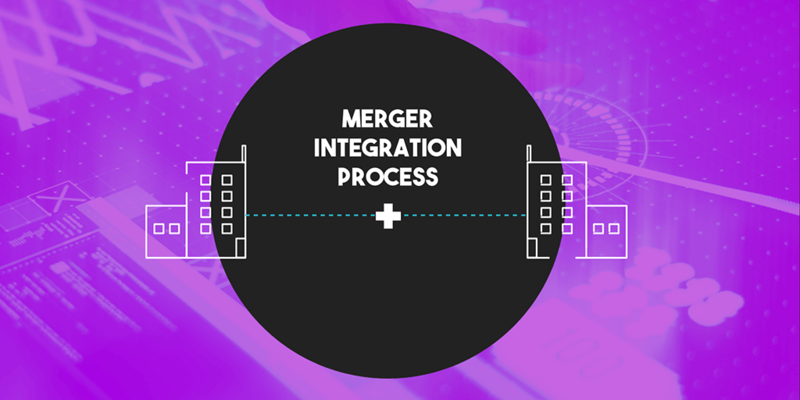 The post-merger integration process is now seen as an opportunity to drive transformation and redefine the customer experience strategy. To achieve this objective, CIOs need to move beyond their operational focus and assume a more prominent, proactive and strategic role. Specifically, they need to leverage IT’s ability to impact the interaction between people and applications, and thereby create new ways for the business to connect with customers. From a technology standpoint, these new ways of connecting are made possible by the deployment of AI capabilities, algorithms and data analytics. Consider that, not long ago, we listened to music by switching on our iPod or opening the Pandora app on our mobile phones. Today, we tell Siri or Alexa to play our favorite station. This AI-enabled transformation in how we engage with technology offers exciting opportunities for business. For a retailer, say, a website or mobile app that allows shoppers to browse online or locate items in a brick-and-mortar space might be enhanced post-merger by a voice-activated in-store virtual assistant that helps shoppers find just the right item. For internal users, these capabilities can be applied to streamline tech support and HR functions. Seizing the opportunity, however, involves much more than implementing technology. In terms of the strategy and deployment of the M&A initiative, the customer must be the focal point, while the customer experience must be the key outcome and benchmark against which to gauge its success. This requires a change in mindset that CIOs may find difficult to adapt. Rather than focusing on the customer, many revert to traditional measures of assessing budgets, software quality and levels of integration. In the process, the customer is ignored, with often dire implications. An integration strategy driven by technology rather than business-focused measures can lead to the proliferation of operational silos that ultimately have a negative impact on the customer experience. For example, from a purely IT metrics standpoint, it might make sense for a retailer to manage an acquired e-commerce entity as a separate business unit with its own P&L. From the experience perspective, however, this arrangement can lead to breakdowns in customer service. For one thing, reconciling data on purchases made online with in-store systems can be a challenge. More ominously, if a customer who makes an online purchase returns the merchandise to the physical establishment, in-store staff may have little incentive to resolve the customer’s issue, since the e-commerce entity is viewed essentially as a separate business. M&A integrations are characterized by the consolidation of software, hardware and systems. Ultimately, however, they impact people – both the business’ customers and its employees. The human side has traditionally been downplayed, in large part because it’s easier – particularly for technologists – to quantify connectivity, capacity and databases. But as digital transformation increasingly puts the customer at the forefront of business strategy, CIOs and other stakeholders must embrace the shift to a customer-focused approach.